Any Workplace"Workplace" describes the Autotask Workplace service in its entirety. user can be a team member, connection, administrator, or super administrator in multiple team accounts. 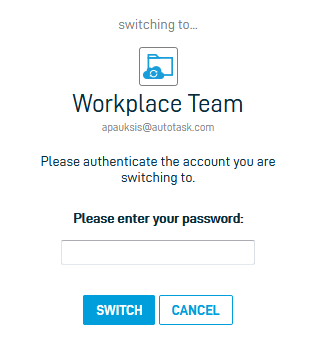 If the same email address is used for multiple accounts, you will be prompted to link the accounts upon the next login to Workplace OnlineWorkplace Online is the web portal that users within a team can use to access their data and administer their team.. If the DO NOT LINK option is selected, that account will be removed from the Linked Accounts list. 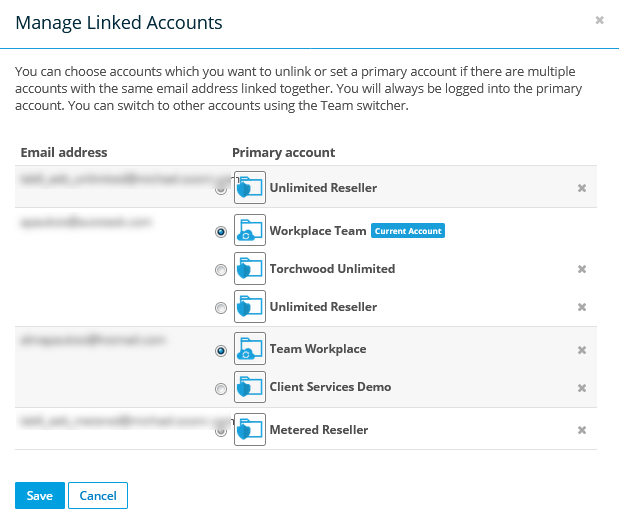 If you used different email addresses, you can use the Manage Linked Accounts window to link the multiple accounts. Once the accounts are linked, you can easily navigate between linked accounts by selecting one from a dropdown. When accounts share an email address, the first account that is set up will be designated as the primary account. When accounts with different email addresses are linked, the account used to link these will become the primary account. 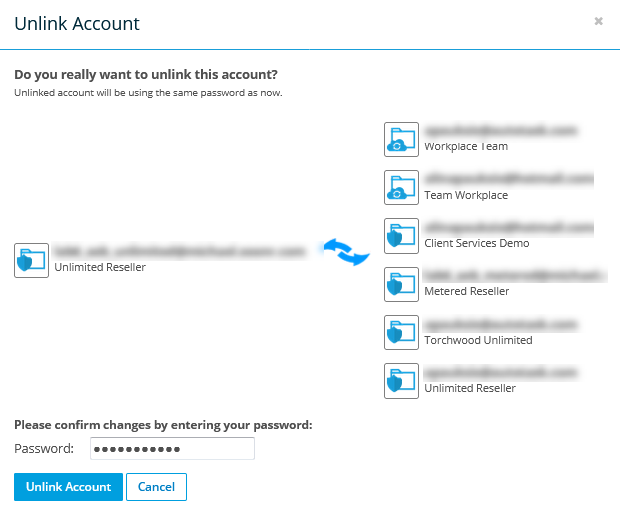 In either scenario, the primary account can be changed within the Manage Linked Accounts window. When accounts share an email, you can only log into the primary account. So you MUST use the password associated with the primary account, since the password associated with a secondary account will result in a "wrong password" message (even though that is technically not true). Once logged in, you can navigate to the linked secondary account. Enter the username and password of the Workplace account you wish to link. Click on the team name at the top right corner of the screen. Your current account is identified by a blue check mark. Select the name of the team you'd like to switch to. If you've forgotten the password for the account you're switching to, click the Forgot Password link. Click the name of your team in the upper right corner of the screen. For each email address, select the radio button next to the account you wish to set as the primary account. When you launch Workplace Online, you must always use the password associated with the primary account. Click the button. 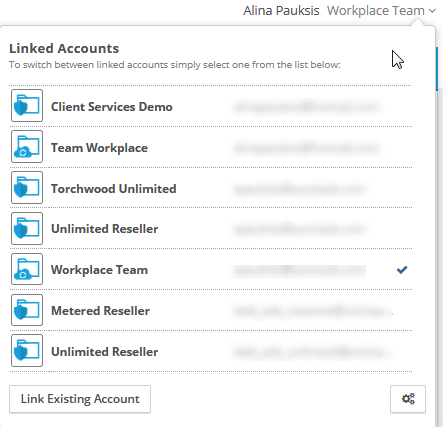 This will open the Manage Linked Accounts popup. Click on the Unlink account icon. If you are unlinking an account that has the same email address, enter a different email address to be associated with the account to be unlinked. Enter the password for your current account (not the one you are unlinking).